"Good and bad; shade and sunlight, there's but a hair's breath between them. It's all one in the end." After finishing Daughter of the Forest and shortly after that Son of Shadows, I was on a Sevenwaters high. SoS was AMAZING! I couldn’t put it down and I wanted to binge read the rest of the series immediately! So I crack open Child of the Prophecy and…what is this? I did not jive with this book at all. Fainne is our main character, the daughter of Niamh, living with her father learning the art of magic. 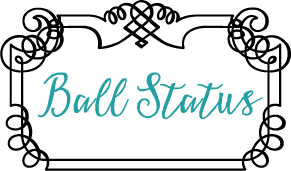 I won’t give too much away about the plot…mostly because nothing happens. The pain purpose of this book is Fianne is coerced into infiltrating Sevenwaters and trying to destroy them from the inside. This was what drove the entire book. While I find this storyline interesting, it really dragged and nothing really happened. We have a few major events occur but it was in between pages and pages of the same thing. Fianne questioning her mission, who to trust, what to do. It got boring and I did not look forward to reading this book. Add in the complete lack of romance and this does not a Kelly book make. I can love books with no romance. But when the rest of the book has almost zero plot progression throughout, it was a struggle. I trigged through finishing it because I know I wanted to read books 4, 5, and 6 but otherwise I would have put it down. I didn’t even really like the ending and how this part of the story concluded. I felt like it was a little forced and I expected more from the magic of the infamous Islands we’ve been fighting for for the past 1200 pages. "What was between us would be as far above the ordinary congress between man and woman as the stars are above their pale reflections in the lake below." I LOVED this story. The journey through the land of the Fey, the romance….THE ROMANCE!!! 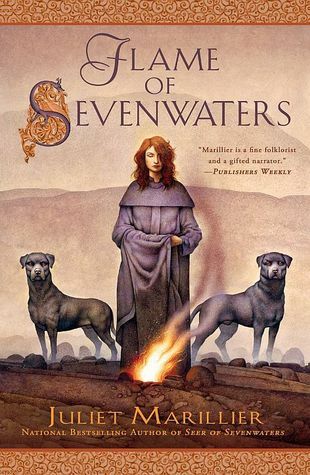 Gah, I loooooved what Juliet Marillier did with Clodagh and *blank space*. It was snarky and hard-won and fought against and I just love love loved it! The rules of the Fey and how they can be one-upped was fantastic. The writing of this story brings the forest and the setting to life and I am so happy I continued with the series because I loved this book. It made up for the abysmal that is book 3. So worth it. Clodagh alone is one of the best heroines I've ever read. 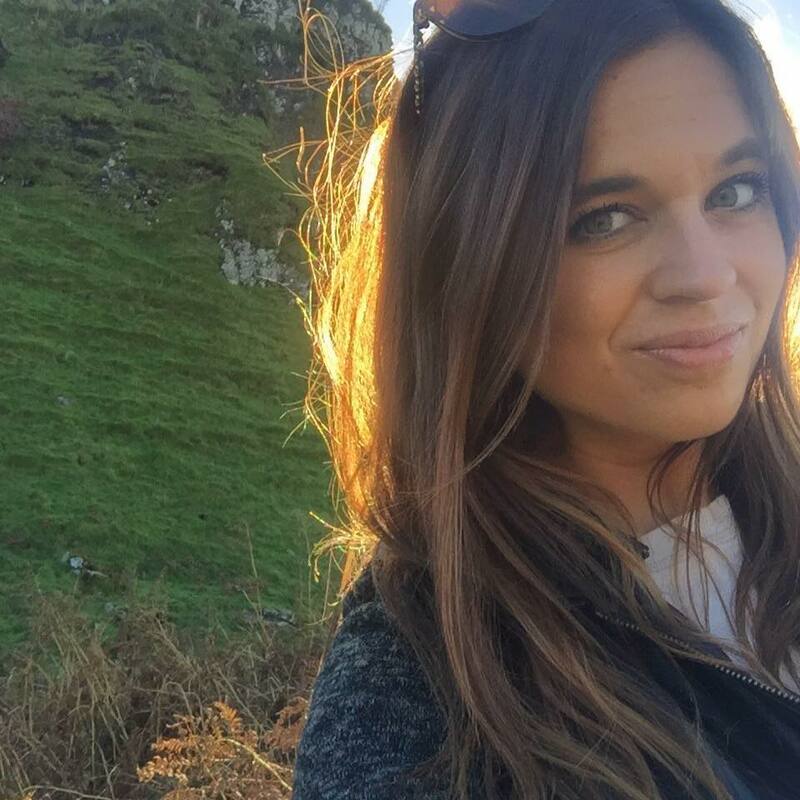 She is strong-willed, filled with love, and will go to whatever lengths necessary for her family. And she knows her heart. She knows what is right and what has to be done no matter what anybody else says, when you read the book you'll understand that a little bit more. "We cannot know the future. All we can do is face it bravely. We should take heed of those we love and respect. But in the end, we make every decision alone." Overall I liked the book and the mystery of Felix's past and the shipwreck but the pacing was so off. The synopsis talks about a journey they must take but they don't take that until almost the end of the book. The pacing was just really wonky and I felt myself falling out of the story because it is very slow moving. 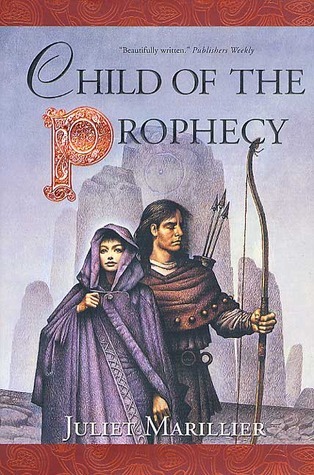 MUCH better than Child of Prophecy but nowhere near the caliber that is books 1, 2 and 4. Still enjoyable and worth the read! "Our family has survived a long time. We’ve weathered battles and transformations, enchantments and floods and fires. We’ve endured being sent away, and we’ve coped with evildoers in our midst. If I were telling a story of Sevenwaters – and it would be a grand epic told over all the nights of a long winter – I would surely end it with a triumph. A happy ending, all well, puzzles solved, enemies defeated, the future stretching ahead bright and true. With new challenges and new adventures, certainly, because that’s the way things always are. But overall it would be a very satisfying story, one to give the listener heart." 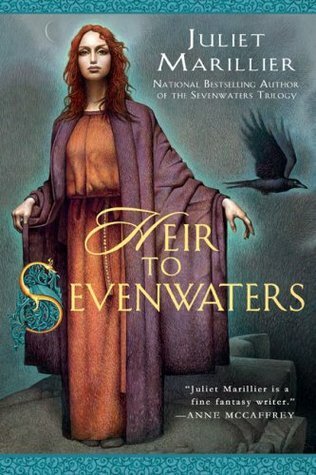 The final book of the Sevenwaters series has its ups and downs. I was super excited to get Maeve's story and get to know her. I really liked her characterization. I found her quiet strength amazing and her anger towards her mother refreshing. I know that sounds weird but Aisling has always annoyed me for some reason. And I, with Maeve, couldn't stand her stuttered response other daughter. Sean's reaction though, oh be still my heart. I adore Sean and think he is an amazing father. His first private interaction with Maeve gave me the warm fuzzies, as did when he saw her for the first time in 10 years. Love love love him. Speaking of love, Finbar plays a prominent role in this book and I loved him!!! He's so precious and smart but at the same time precocious and haunted. I loved getting to know him and seeing his relationship with Maeve bloom. The magic of this book is another strong point. Mac Dara is causing mayhem and really causing problems for Lord Sean and his neighbors. I won't go into too much detail but know that the ending of this book and how the magic all fit together was unexpected and AMAZING! I didn't see the twists coming at all and the last 70 pages went by so fast and were so incredibly good. My criticism of this book is in the pacing. As I said, the last 70 pages were amazing, 5 star worthy, but the first 360 pages were SO slow. I struggled at multiple points to get into and stay in the story. As with Seer, editing and pacing correction would have seriously improved both books and made them on par with books 1, 2 and 4. Overall, this series is worth the read. 100% worth the read. 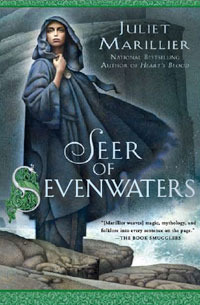 It has its ups and downs but the setting and story Sevenwaters is fantasy at its best.